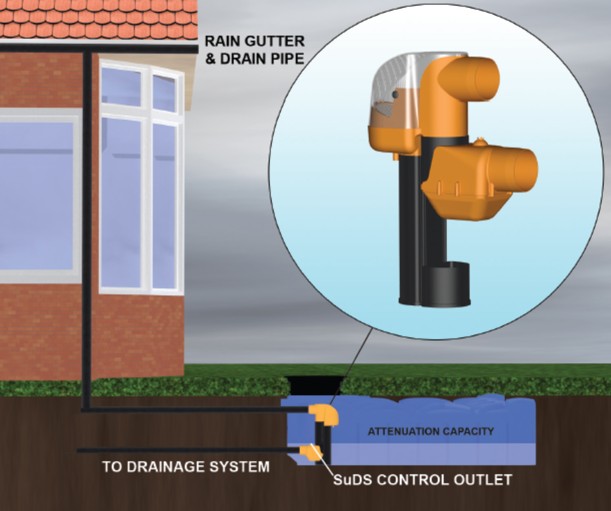 The Rain Activ Dual Gravity Fed System gives you the ability to enjoy the benefits of rainwater harvesting in your home and garden whilst at the same time acting as part of your on site SuDS solution. 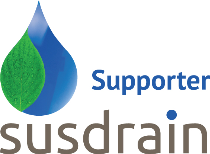 The system includes the WRAS approved Rain Director mains water backup unit with smart header tank. What is a Gravity Feed System? 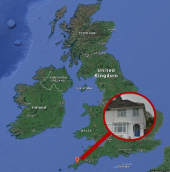 The rainwater is collected within the underground tank and then pumped up via the Rain Director's control unit to the smart header tank in the loft as and when required. From the header tank gravity is then used to take the water down to the appliances. When the toilet is flushed the level in the header tank will drop but will not fill up until a level sensor is triggered. 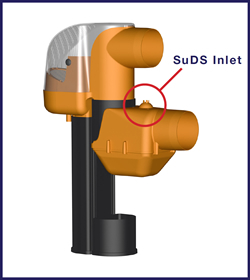 The Rain Director® pumps through a control unit, up to a "smart header tank" usually situated in a loft space. Inside the header tank are two level sensors, upper and lower. The system fills the header tank to the upper sensor then does not use the pump again until virtually all of the water is used and the lower sensor is reached. This "batch filling" process means the pump cycles 1-2 times per day, in comparison to every time a toilet is flushed with traditional systems. 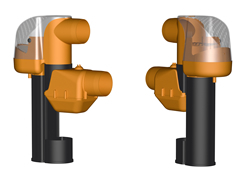 Coupled with the large reduction in energy and pump wear, the Rain Director® has numerous benefits in comparison to others on the market. 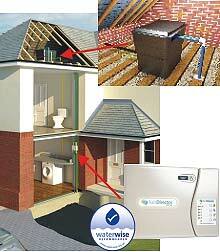 Full mains override, providing water in every eventuality: Low rainwater, pump failure or power cut. Three stage, electronic and physical overflow prevention system.